U.S. leaders could learn from European austerity. 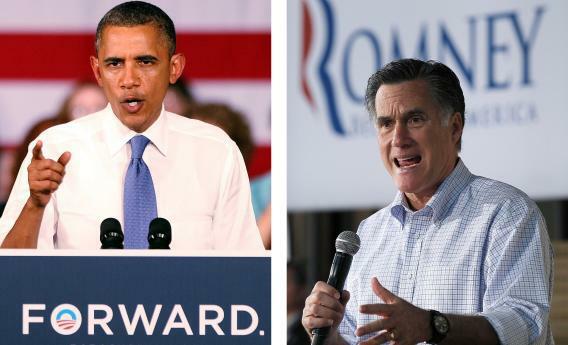 Noting the lessons of Europe’s austerity would help either Barack Obama or Mitt Romney. U.S. leaders could learn from Europe’s austerity. Noting the lessons of the continent’s flubs and fixes would help either Barack Obama or Mitt Romney tackle the policy and politics of a debt load that just surpassed $16 trillion. Waiting too long might give investors time to make a new choice. European nations have been coping with two types of busted budgets. Greece, Portugal and Ireland require aggressive fiscal reforms to try and stop the drift toward default. Their gross debt-to-GDP ratios are ominously high. According to the IMF, Greece’s could hit 165 percent next year. Britain epitomizes the less dire austerity. Economic output there should remain below national borrowing. But to avoid the fate of its neighbors, UK Prime Minister David Cameron was proactive, seeking fiscal reform two years ago. With the Democratic National Convention in full swing this week on the heels of last week’s Republican bash, visiting European politicians reckon deficits should be high on the agenda. Though forecasts vary, the IMF sees gross U.S. debt accounting for 110 percent of GDP next year. Yet bond yields in some troubled European countries have soared as the dollar’s reserve currency status kept U.S. Treasury yields low. Portuguese 10-year bond yields, for example, have doubled since 2007, while their American counterparts fell three percentage points. That preference could fade if Uncle Sam continues to live beyond his means. There’s a U.S. political impasse on how to tighten the belt. A quarter of UK deficit cutting comes from tax hikes. While Republicans would balk at such a revenue-based solution, even center-right European People’s Party officials doubt the GOP can avoid raising taxes altogether, as many Republicans have pledged, and say additional tax cuts would be irresponsible. Britain front-loaded a value-added tax hike, accounting for half the early deficit reduction. That snatches money from the private sector and discourages consumption. In the United States, where consumer spending makes up nearly three-quarters of GDP, such a blow to growth could thrust the nation back into recession. Just ask Britain. UK politicians have begun feeling austerity pains, though they say citizens understand the sacrifice. U.S. lawmakers need similar audacity. Otherwise, the time could come when the market prefers the shrinking deficits in Europe to America’s bloated borrowing.